The Pisa soap dispenser by Zone Denmark impresses with its distinctive asymmetric curvy shape. The design comes from the Corbeau Design Studio. The combination of shape and steel, silicone and plastic creates a functional product with a refined and refreshing look. The name of the soap dispenser is supposed to remind of the Leaning Tower of Pisa. 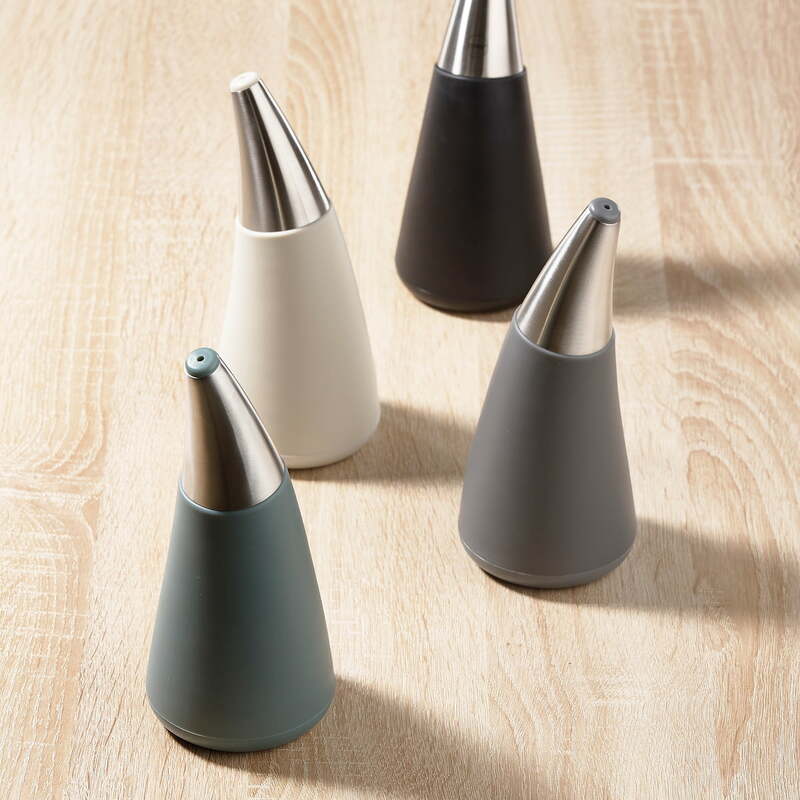 The Pisa soap dispenser is available in various colours and is ideal as a stylish soap dispenser for the sink in the kitchen thanks to its thermoplastic rubber. 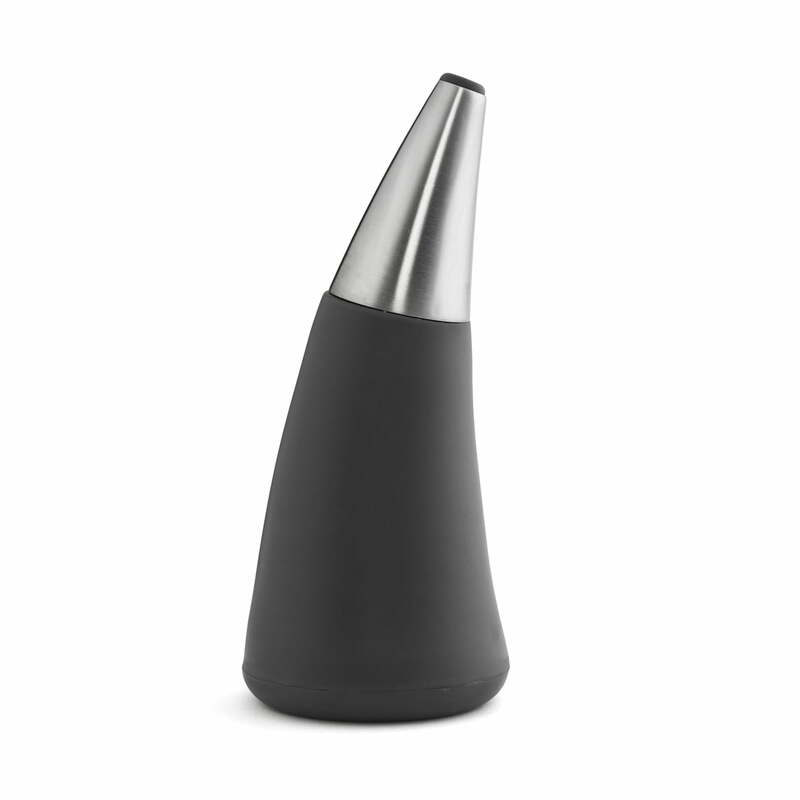 Individual picture of the Pisa soap dispenser by Zone Denmark in black. The design of the soap dispenser in black comes from the Corbeau Design Studio. The combination of shape and steel, silicone and plastic creates a functional product with a refined and refreshing look. The name of the soap dispenser is supposed to remind of the Leaning Tower of Pisa. The Pisa soap dispenser is available in different colours.